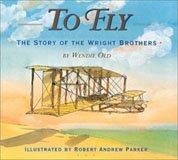 I'm collecting links today of the Nonfiction Monday reviews of great nonfiction books for kids and other nonfiction posts of interest. Since I will be adding more and more links during the day, do check back this evening to see them all. Rosi Holinbeck wrote about the Highlights Foundation Non-Fiction Workshop with Peter Jacobi on her blog, The Write Stuff. I know several people who have attended this workshop and can't recommend it highly enough. If you can possibly manage to attend one of these, your writing surely will improve. Another author, Melissa Higgins, is writing a series of posts about a nonfiction Work for Hire project she's working on. If you are interested in seeing the process, click on this blog link and then come back in the next weeks as well to explore her thoughts about this project at MG Higgins. Of course, my favorite nonfiction writer's blog is I.N.K. Interesting Nonfiction for Kids. Jeff Barger at NC Teacher Stuff has a post about Medieval Life. Jennifer at Jean Little Library has a review of The Secret Lives of Backyard Bugs. Amy at Hope is the Word liked the new Chris Van Allsburg book, Queen of the Falls, today. Amanda at A Patchwork of Books reviewed Friends: True Stories of Extraordinary Animal Friends. Over at the blog, Apples with Many Seeds, Tammy has posted about two sports books from the series, RecordBooks. ONe is a biography of Jordin Tootoo, the first Inuit to play in the National Hockey League. The second book is more historical, Tough Guys, which looks at hockey in the early 1900s and the impact of WWI and the Spanish Flu on the teams and league. 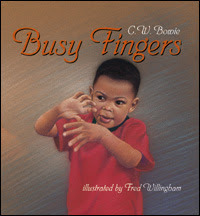 Rebecca at The Joy of Literacy reviewed a fun book -- POP! The Invention of Bubble Gum. There's a review of Come See the Earth Turn at Bookmuse today. Jeanne Walker Harvey wrote about All Aboard! a picture book biography that features Elijah McCoy, the son of slaves who dreamed of becoming (and did become) a mechanical engineer and inventor of improvements for the railroads over at True Tales & a Cherry On Top. Roberta at Wrapped in Foil enjoyed the hands-on science book The Klutz Guide to the Galaxy. At Geo Librarian, Heidi reviewed Amelia Lost: The Life and Disappearance of Amelia Earhart. Mermaid Queen: the Spectacular true story of Annette Kellerman, who swam her way to fame, fortune, & swimsuit history! 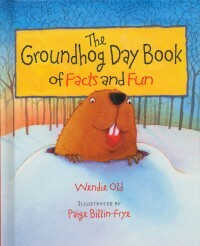 is the featured book on All About Books with Janet Squires. And that's Nonfiction Monday for this week. I reviewed the new Chris Van Allsburg book, Queen of the Falls, today. It's good (of course!). Thank you for the mention and the link, Wendie. Looking forward to reading these posts. Hi Wendie, thanks for hosting today! I've posted about two sports books from the series, RecordBooks. One is a biography of Jordin Tootoo, first Inuit to play in the NHL. The second book is more historical, looking at hockey in the early 1900s and the impact of WWI and the Spanish flu on the teams and league. Thanks for looking after today's event. True Tales & A Cherry On Top wrote about ALL ABOARD! a picture book biography, that features Elijah McCoy, the son of slaves who dreamed of becoming (and did become) a mechanical engineer and inventor for the railroads. My selection is "Mermaid Queen : the spectacular true story of Annette Kellerman, who swam her way to fame, fortune, & swimsuit history!" 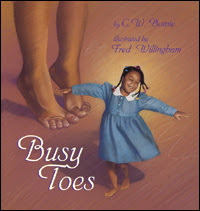 written/ by Shana Corey and illustrated by Edwin Fotheringham.